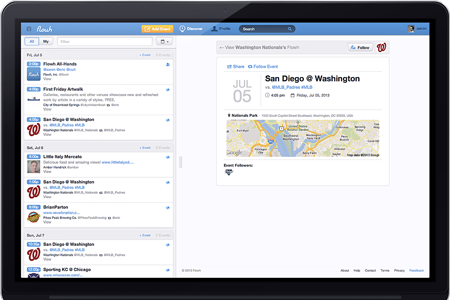 Flowh turns your calendar of events into a smart marketing tool. 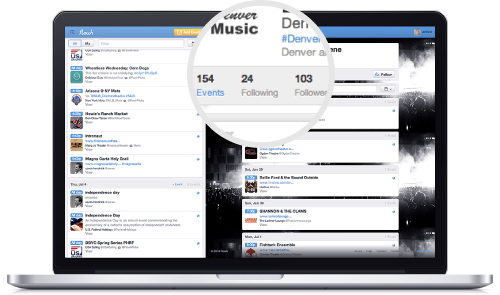 From the newest movie to the hottest band's performance, your followers will connect, share, and stay current with all of your events. Whether you're the host, the planner, the seer or the doer, we've created an ecosystem to bring you together so you can encounter the moments you'll share for the rest of your life. Life is a stream of events. We use social media to keep others current with our present and past, but lets not forget the importance of our future. Share your events with Flowh and connect with the people who build your memories. A better calendar for your website. Your events deserve more attention than normal calendars can offer. 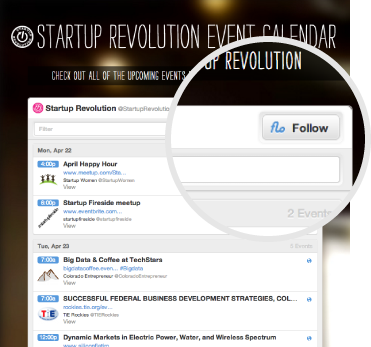 Our widget makes your event calendar, customized to the viewer, interactive and easy to share. Flowh takes care of the reminders and updates that come with events. 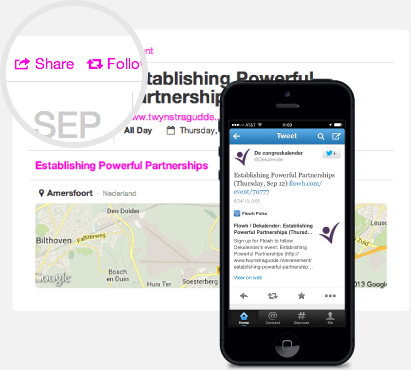 We keep your followers in the know about your upcoming events and notify them when details change. Tell your fans to toss their sticky notes and track your events with one click. Flowh makes your events easy to follow and share. Let your fans spread the word for you. We have two foundational beliefs: that nobody should ever miss out, and that life is better lived together. That's why we've built a place for you to connect with people by creating, sharing, and discovering all of the events that matter. We like to think of Flowh as a sophisticated echo. Say it once by simply creating the event, then let us put word-of-mouth to work for you. No matter the device they use, we make it easy for your followers to discover and share your events with everyone who matters. Think of Flowh as the kid who turned your small intimate gathering into a full on palooza. 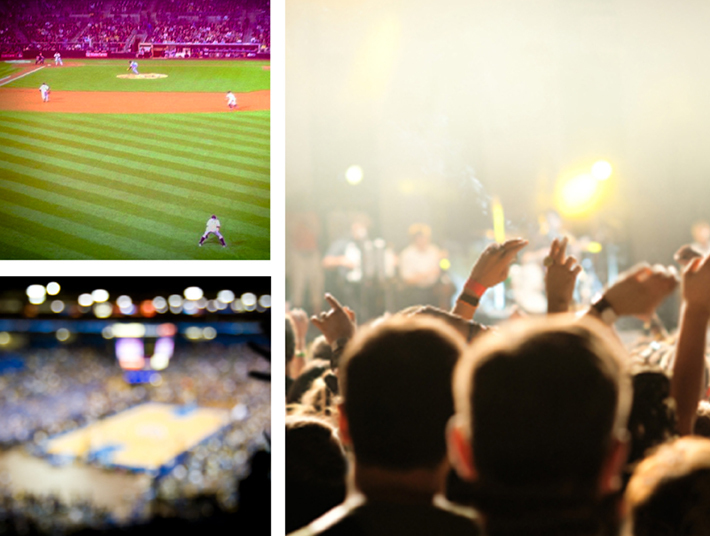 Get more out of your events than ever before and grow your fan base with our built-in tools. Not sure if Flowh is right for you? Learn more on our about pages. Flowh tools are built for event marketing. More questions? Contact us, we're here to help.